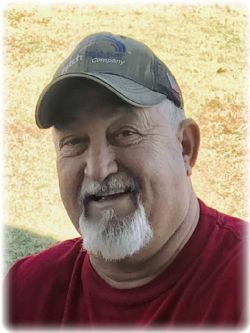 James Lee Tacker, Jr, 65, of Clinton, AR, went to be with the Lord Sunday February 10, 2019. He was born March 23, 1953 in Tyronza, AR to James Lee and Norma Ellis Tacker. James was preceded in death by his brothers, Johnny Tacker, Sr and Ricky Tacker, and his parents. Left to cherish his memory is his loving family, his wife of over 43 years, Cynthia Tacker, sons, Jason Lee Tacker and Michael Jeremy (Sarah) Tacker, grandchildren, Seth Tacker, Kyla Tacker, Darcy Tacker and Ainsley Tacker, sisters, Mary Dean Wilbanks, Martha Sweeten and Tina Denham. He is also survived by many other nieces, nephews, friends and relatives. Funeral Services will be on Thursday February 14, 2019 at 1:00PM at Roller McNutt Funeral Home, Conway, AR. Visitation one hour prior to the service. Burial in Crestlawn Memorial Park.